Techno. Berghain. Late nights partying. The normal words that spring to mind when I think of Berlin. Soaring pop sensibilities bundled in to a euphoric debut? Not so much. Looking set to change all that though is newcomer Sara Hartman and her introductory new single Monster Lead Me Home. 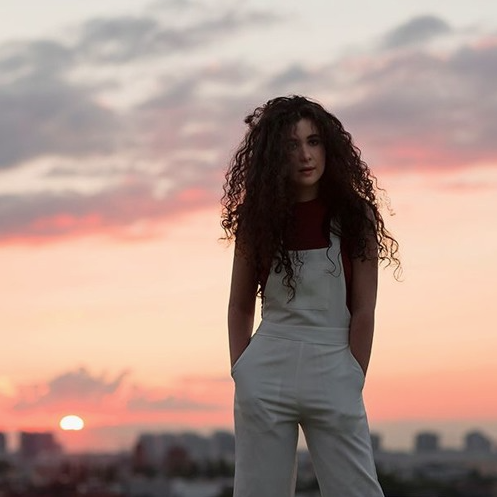 Having been busy putting the finishes touches to her album, Hartman can finally unveil her mark on to the pop world, seemingly becoming just the thing we've been missing all along with her well articulated songwriting talents. "It’s a snapshot of my mind when I first got to Berlin" she explains. "It was really exciting but very frightening at the same time. I put everything into the music I make and trust it’ll take me where I’m supposed to be. i.e. Monster Lead Me Home". Take a listen for yourselves below. A name I'm sure we'll be hearing a lot more of in '16. Check out a list of her full live dates detailed below.